Hello! 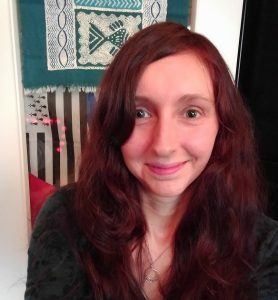 I’m Auregann or Léa, almost 29, French girl living in Berlin, after 10 years in Bretagne. I’m singing, playing guitar, beginning with harp, and started a crazy challenge to write my own songs. I’m singing in Stimmgewalt (a cappella goth/metal band) and Morgane & Mélusine (breton folk dances). I also have my solo demos (celtic music with voice and guitar). I’m writing music reports in French about folk metal, medieval and gothic music, on Valkyries Webzine and Chroniken der Finsternis. I do a lot of other things and have plenty of projects in mind, if you want to know more, the best way is probably to contact me!